So I've gotten far enough in the design stage that I'd like to start sharing my build. I've got the lathe itself and the basic CNC components. I've managed to install LinuxCNC and get the motors moving. Tomorrow I start hopefully bolting some components on. Far from finished with the design but far enough along to start on the Z axis. Plan right now is to keep it as cheap as possible. I'll start by 3D printing all the custom components and make them in aluminum,steel or cast iron when I'm happy with them. -For the motors I'm starting with a chinese ebay special 3 axis nema 23 kit and BOB. -16mm z & y axis screws and a 12mm x. Looks like I could fit a 16mm in the x axis as well so may change my mind. 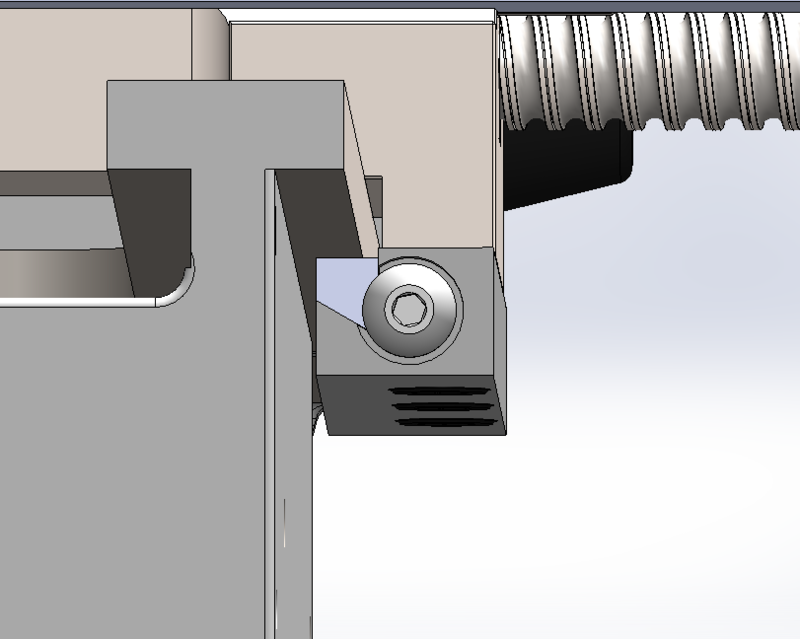 -Re-designing the top slide to a T-slot bed and adding tapered gibs to the x and z axis. 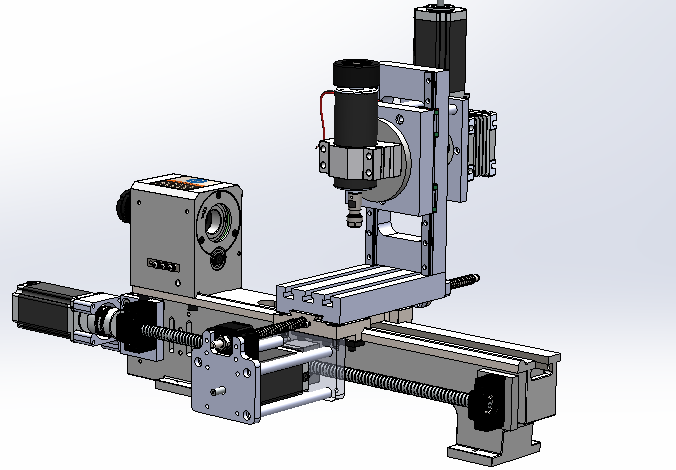 -Have a worm gear reduction modeled in the back of the Y axis currently to do A axis rotation. They can be found for cheap from China. -Not sure what I'll use for a spindle. Currently have a cheap chinese spindle in the model. Was trying to find maybe a cheap lathe live tool block. Or make my own? -Plan on mounting a servo motor for the spindle and having a couple pulley options for it but think I've bitten off a good amount to work on for now. That's a start, hope to update more soon as I make progress! I like the X axis design. Before going too far make sure that saddle is a really good fit. It takes a while to do it, but the difference it makes is amazing. Ditch the original saddle gibs and make some tapered ones. Thanks, I've actually been reading up a lot on machine rebuilding and have a scraping class with Richard King next month. So in addition to all the mods I'll be going through the lathe pretty thoroughly and hoping I can get it in as best as it can be. I'll definitely be doing the usual tapered gibs and new spindle bearings. Last edit: 13 Apr 2019 07:40 by pl7i92. If it weren't a retrofit then I wouldn't put them in front but it's easier to put it in front because that's where the leadscrew was and the apron makes a convenient place to bolt the ball nut. Is an an album showing how I made tapered gibbs for my lathe. The technique there doesn't need any special angle measurement, I just put the base block in the vice vaguely wonky, machined the slot, then clamped the Gib in and faced both parts off flat with the base block in the vice somewhat straighter. Have fun with your project, you will learn a lot. Main that lathes make poor mills A lesson i learned myself doing that project. Don't ask me how I found out how much those beds flex. I've seen people make a gib like that. I'd have to look at mine since it looks like on yours its ground on the bottom of the rail where the gib rides and then adjacent to it as well. So you could make the gib thick enough to ride both those surfaces. It sits in a dovetail which has a 1 degree taper along it's length. Not sure if that's necessary. AnnoyingMutt wrote: Don't ask me how I found out how much those beds flex.